ImagePrint Today | Where art and science meet to make the perfect print. It has been almost three years since we rolled out ImagePrint 9, a major upgrade that included many new features including the Profile Valet, our industry leading technology for delivering paper profiles on the fly. That version also laid the ground work for an improved look and feel to the interface that ImagePrint 10 builds upon, along with its own set of exciting features. In upcoming posts, we’ll take a more in depth look at some of these changes, but for now, let’s take a quick peek at some of what you can expect with ImagePrint v10. Every window, including the layout window, can now be dragged as a separate element, allowing you to customize your workspace and utilize multiple monitors in ways never possible before. No more viewing only one page at a time. Create and scroll between an unlimited number of pages with our new scrollable Page Layout. You can also move images freely between pages in a live visual workflow. 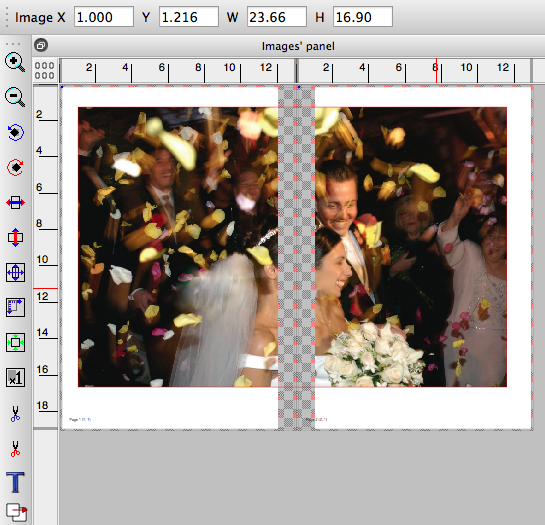 As part of the muli-page interface, images will split between pages as you drag them. 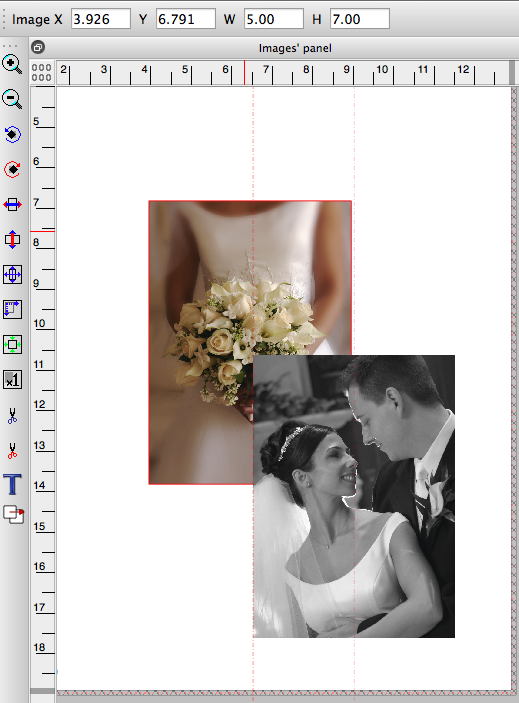 Great for splitting pictures across book pages for albums and portfolio work. And, a new “Spread” mode displays your layout as two-page spreads for those making books, with complete control over the binding gab space between facing pages. 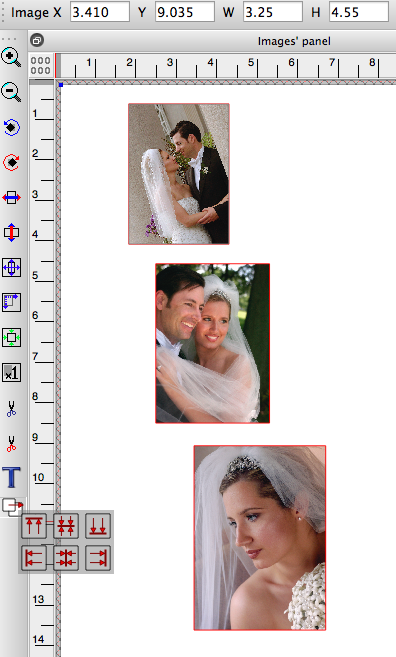 Drag an image within the layout area and “smart alignment” snap-to guides appear allowing you to line it up (edge or center) with other images or to other elements of the page such as the printable area boundary or the page center. 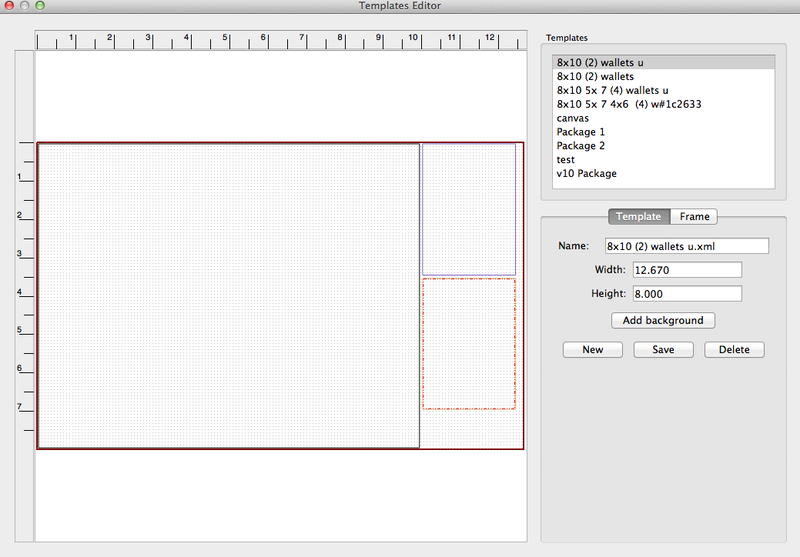 Creating your own “snap to” alignment guides is as easy as dragging from the edge of the layout window. You can also align images to other images. Just select the first image, then control-click the ones you want to align to it, and choose the alignment option you want to use. 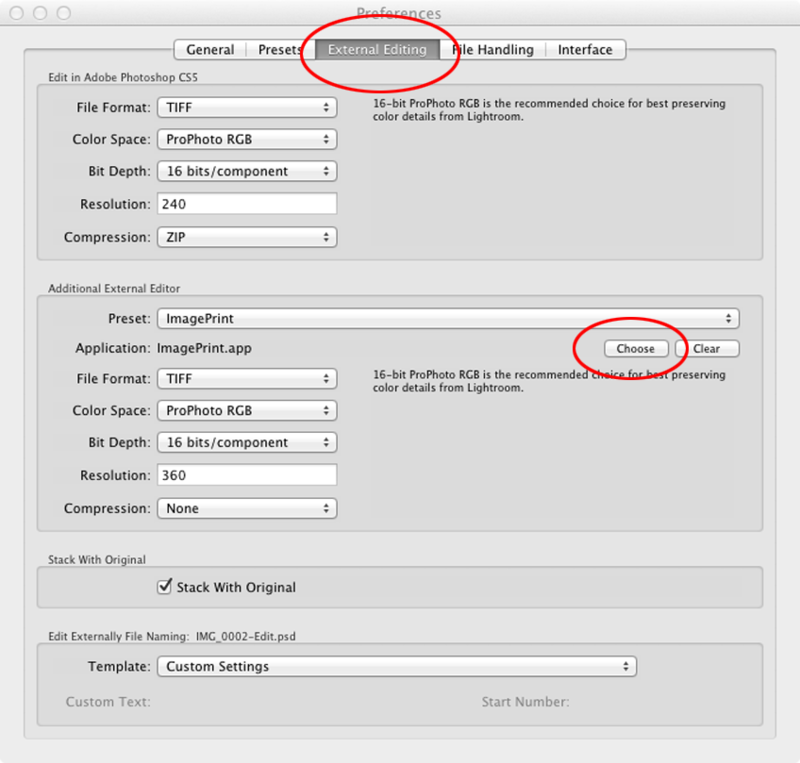 ImagePrint 10 includes 16 bit Output Sharpening, one of our most requested features. And we did it right–because the output part of output sharpening is important. Our new sharpening is inserted into our data pipeline as the last step before going to the printer, after building the print screens and resolution/size adjustments have been made. That means you can continue to size and resize the image within ImagePrint and the sharpening you specified will always be perfect for your final image dimensions. 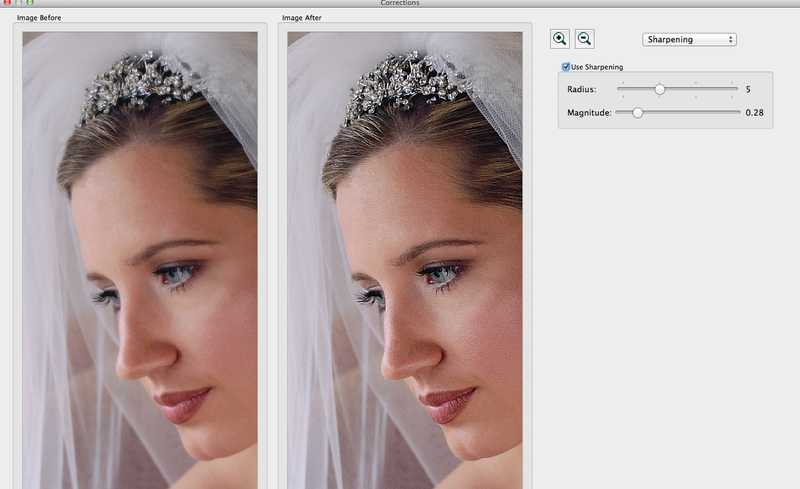 And of course, as with all ImagePrint corrections–it’s non-destructive. Your original image will remain the same. See exactly how corrections affect your image before applying them, or see how the image appeared before the printer profile was applied with our new before and after views. 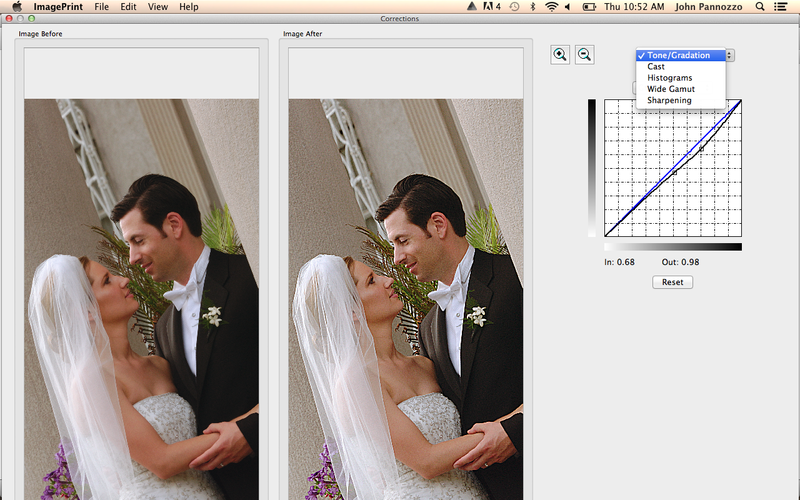 Making last minute tweaks to an image has never been easier. No more checking a web site for updates and running a separate utility. 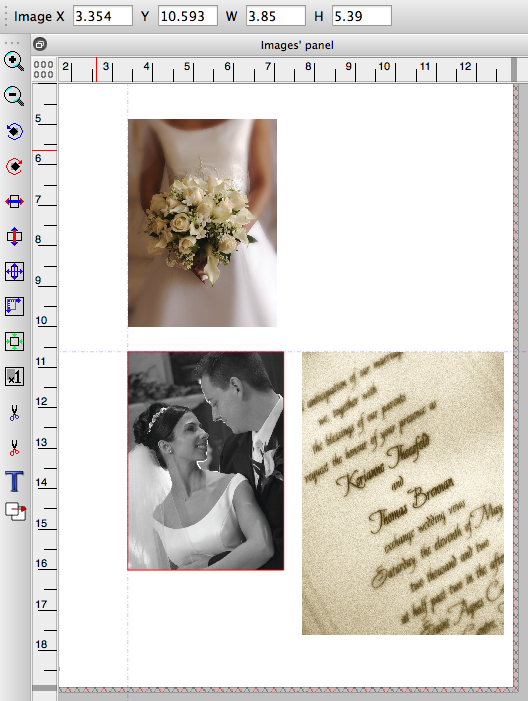 Under the Help menu just choose Check For New Releases and update to the latest revision right from within ImagePrint! Thanks for taking the time to take this sneak peek of version 10. More features may be added before the official release, and we hope to be able to announce support for new printers at the time of release as well. 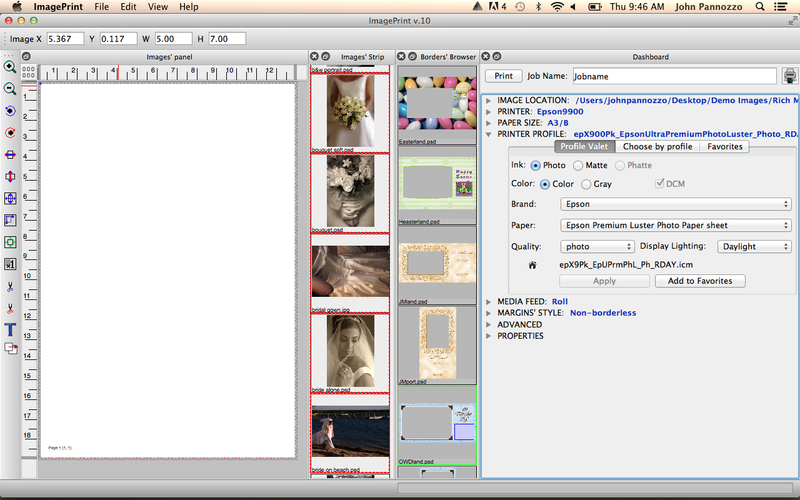 The new ImagePrint 10. We hope you enjoy the experience! When can you get it? 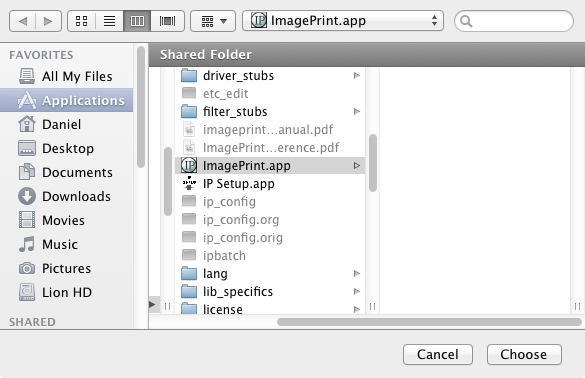 There’s still no firm release date, but ImagePrint 10 is expected to be available in the last week of September, 2014. However, the software is currently available for purchase now as a stable pre-release for those who just can’t wait on both Windows and Macintosh. Call the ColorByte Sales Dept. for more information at 813 963-0241 (ext. 1). Summer is a great time of year to attend a workshop. Many teaching professionals only have time in the summer to put on workshops. 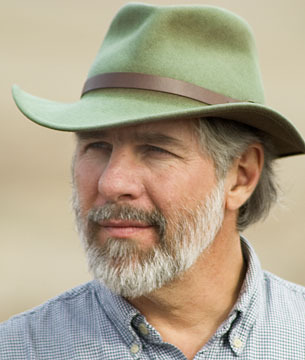 One such person is Craig Stevens. Craig is a b/w and color master and I highly recommend taking one of his workshops. Here are some dates this summer, take a look and give it a shot. July 30th to Aug. 4th. July 14th to July 20th. Aug. 18th to Aug. 24th.